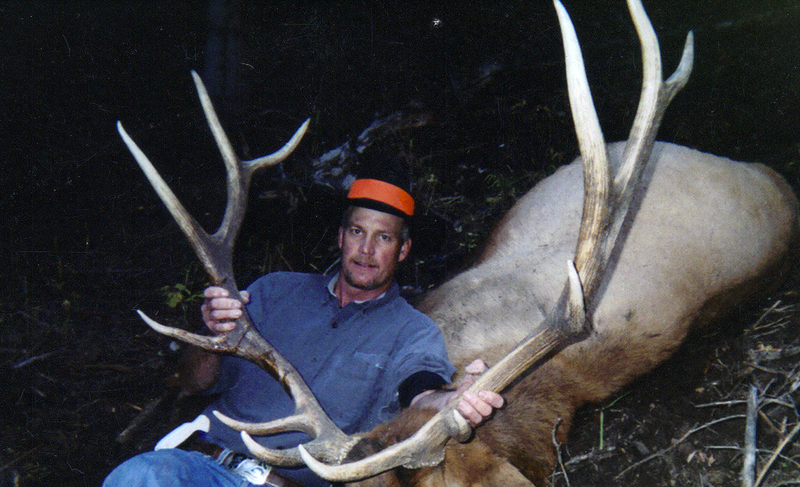 Colorado's Premier Elk Hunting Outfitter, 66 years along the White River National Forest. One of the highest populated Elk & Deer units in the state of Colorado. Our Colorado elk rifle hunting in game management unit 12 are guided and operated out of our lodge in Northwest Colorado. Everything is furnished except for your hunting license and personal gear. It has all the modern conveniences with two full baths for hunters use. Meals are prepared home style. You will arrive the afternoon before your elk hunt begins. Once you are unpacked and settled in, you will be taken to the stable, fitted to a saddle and assigned a horse for the next morning. Then we will return to the Lodge for dinner and retire for the night. Once morning arrives which is anywhere from 3:30 AM to 5:30 AM, (depending on which elk hunt you are on) a breakfast will be served. After breakfast you will be provided a sack lunch, taken to the stable and depart for your elk hunting area with your guide. You will elk hunt all day. We usually leave well before daylight and return well after dark. The farthest ride is about one and a half hours. 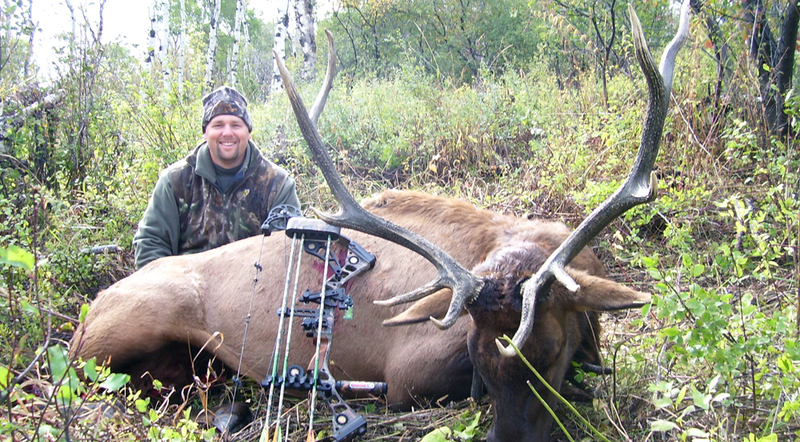 Our Colorado Archery Elk hunts are guided and operated out of our lodge just as are the rifle elk hunts. The main difference is, we come back in for breakfast and go back out in the afternoon. 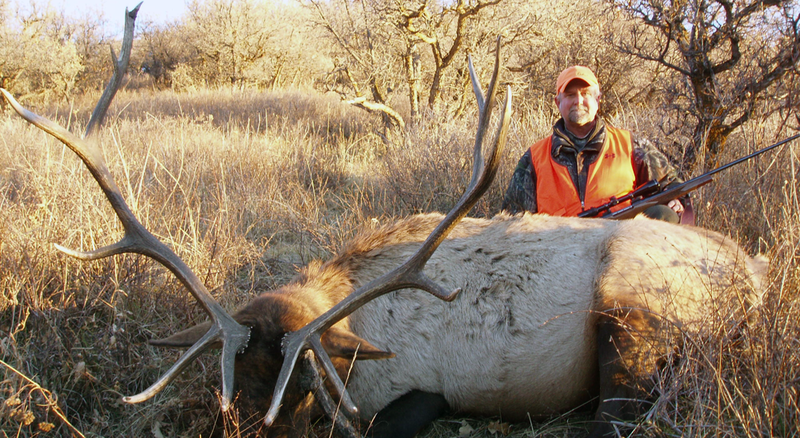 Elk hunting is done by calling and stalking as well as using tree stands in the morning. Evenings are hunted in a different area than mornings (so we can keep from putting too much pressure on our elk herd) and is done by using tree stands. This method works very well for us. We generally have a very high kill ratio. 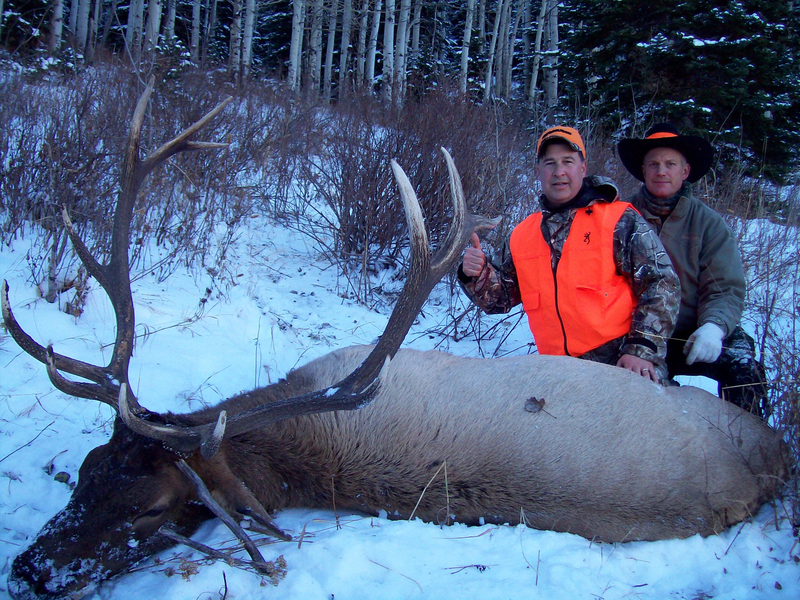 Four and six man camps are available for elk hunting. 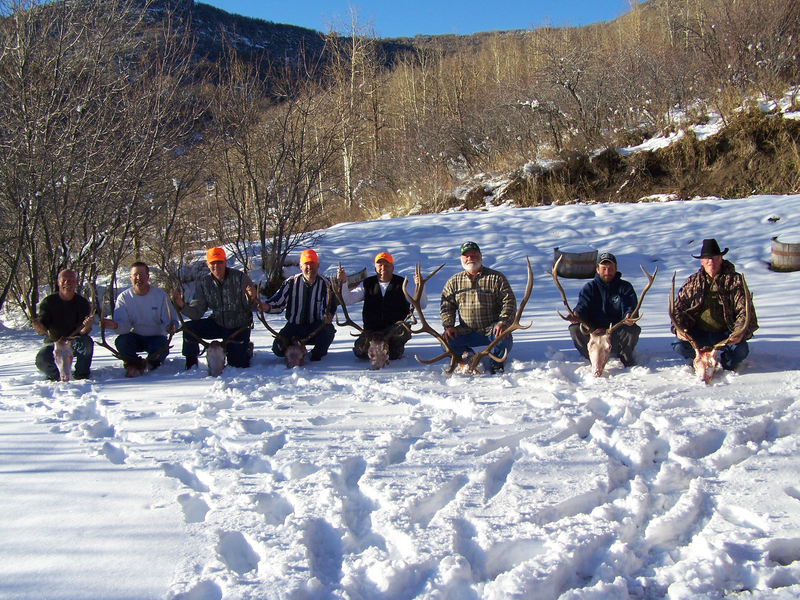 On our Drop Camp elk hunts you are packed into a camp site on the White River National Forest, Colorado. Your camp is checked on every other day either in person or by two-way radio. We supply you a 16 x 20 wall tent, wood stove, propane cook stove, propane heater, cots, tables, chairs, lanterns, water and pack out your game. 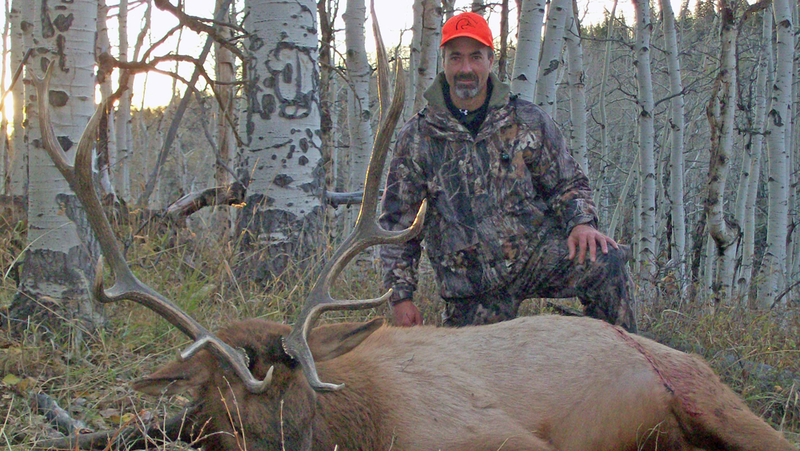 You elk hunt on your own, supply your own groceries, utensils and do your own cooking. Since it is a pack– in camp, elk hunter MUST limit what they bring, only necessities.